I am a yoga therapist who specializes in restorative work in the spirit of B.K.S. Iyengar and Judith Hanson Lasater. My classes feature the generous use of bolsters, blocks, and blankets; poses in which the head is virtually always supported; and long timings. In addition, since the 1990s I have taught yoga classes and workshops—not exclusively restorative—designed for women, with attention to the various stages of our unique reproductive cycle. Yoga can support us in true, deep, radical self-care. I am especially concerned with yoga as a nurturing practice. Women today so often expect ourselves to achieve and to be and to have it all that I believe we sometimes lose touch with our body’s natural cycles of rest and renewal and its innate intelligence and talent for healing. Yoga can not only make us strong, healthy, flexible, and confident; it can also teach us compassion for our vulnerabilities and weaknesses and support us in true, deep, radical self-care. Unlike most of the women with whom I have worked therapeutically, I know Preeti Khilnani Hay in a more expansive way. 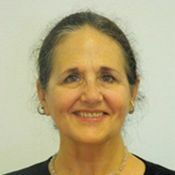 We belong to the same spiritual community, I am friends with some of her family members, and I volunteer at the Meher Spiritual Center in Myrtle Beach, South Carolina, where she works full time as an administrator. I was thus well aware of her recent pregnancy and of how carefully she and her husband Ben were preparing for the birth of their first child. Preeti is a resourceful young woman, a good planner, calm in a crisis, a problem-solver. She had good medical care and was taking prenatal yoga classes; she was fit, and the baby was apparently just fine. There seemed to be every reason to expect an easy home birth, perhaps even the kind where the baby arrives before the midwife. So I was surprised and concerned when I heard about her protracted, exhausting labor and emergency cesarean, and then that her baby, Samuel, had a serious infection requiring his transfer to a nearby hospital with a better neonatal ICU. But even more distressing than her physical discomfort was her feeling that her body had betrayed her. She had taken very good care of herself, exercised and eaten well, and negotiated a generous maternity leave package for herself, only to experience the fear, pain, and trauma of a terribly difficult birth process, the wrecking of her well-laid plans for a joyful home birth, and a newborn so ill that she had to remain in a sterile hospital environment just to hold and nurse him. Preeti and I first addressed her perineal pain, the result of both labor and the cesarean. From the perspective of the yoga tradition, we exist simultaneously on multiple interconnected physical, emotional, mental, and spiritual levels. Muscular pain, though it may have physical causes, cannot be adequately addressed in isolation from the other dimensions associated with its physical site. In this article, Shari Friedrichsen points out that the pelvis and pelvic floor are where we store “shadow emotions” such as blame, shame, betrayal, loss, and fear. It was vital for Preeti to begin healing this area of her body, not only muscularly, but on the subtle level. We began with breathing: inhaling to the pelvic floor, exhaling up the spine and out the nose. As all students of pranayama know, where the breath goes, the attention follows; and where attention goes, the energy flows. By bringing gentle attention to this area, directed and supported by her breath, Preeti could begin to “detoxify” her body from physical pain and exhaustion as well as from the confusing, negative feelings aroused by the ordeal she had just survived. Building on inhaling to the pelvic floor, we were able to add bridge pose, a favorite of Preeti’s. She did this while moving on the breath (inhaling up, exhaling down); she did it squeezing a block between her thighs to help activate the pelvic floor and energize her legs; eventually she worked up to full, classic bridge with her arms clasped beneath her (also great for her tight shoulders!) and with long holds. We also added cat-cow, which energized her belly and pelvis, modifications of boat pose and the fire series to further strengthen her abdominal muscles and pelvic floor, and downward dog to tone her pelvic floor and strengthen her legs, arms, and back. To address Preeti’s upper body weakness and discomfort, I initially prescribed simple shoulder rolls and neck stretches. Then, to activate different parts of her arms and shoulders, she varied her hand height in down dog, sometimes using blocks, sometimes a chair seat or wall. As her strength and confidence grew, we progressed to an L-handstand with her feet on a wall to further strengthen and stabilize her shoulders and arms. As for alleviating the discomfort that arises from holding her baby, she has learned to place one yoga block between her shoulder blades and another under the base of her skull to release and open her shoulders while reclining. This, she says, gives great relief from the strain of nursing. Our sessions always end with a reclining breathing practice—“American savasana,” as Preeti calls it, because in India (where Preeti grew up and first began practicing yoga) she was not taught to support her head, whereas in this version we place pillows under her head and knees. Our work together is not restorative in the strictest sense, although we do use props, supported poses, and long, slow timings. It is a nurturing practice, including active and supported poses that address common postpartum issues. Most importantly, I think, this practice has evolved from Preeti’s own intuitive sense of what she needs to restore her trust in the universe as a friendly place. As she has come more fully back into her body, now transformed into the body of a mother, she has regained confidence, physically and energetically, in herself and in yoga’s power to nurture and sustain us through all of life’s changes. While all new mothers experience many of the same symptoms postpartum, every birth is unique, and there is no “one size fits all” practice. Some students may be ready to jump back into a high-energy class, and everyone (pretty much) will want to rebuild their abs, strengthen their pelvic floors, and relieve tension in their necks and upper backs. But, as Preeti’s experience shows, even a fit, experienced student can encounter unexpected complications that will require a slower, gentler initial approach than she envisioned. As her teacher and friend, I am proud of Preeti’s willingness to embrace a restorative style that had not previously interested her very much. One name for the goddess in Indian literature is Kama Roopini, one who can take any form; I think we can apply this title to yoga itself. No matter what our condition—old, young, injured, healthy, pregnant, postpartum—there is a practice that is right for us. Read Preeti's article about her postpartum experience here.